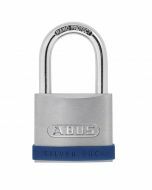 Solid and durable: The Silver Rock 5 is impressive, with its stable lock body made of zinc with a brushed stainless steel look and a Nano Protect bolt. The blue silicone frame makes the lock a real eye-catcher. With our Silver Rock 5, you can secure items of medium value or objects both inside and outside where there is an average risk of theft: Doors, gates, lockers, cupboards, tool boxes, basement windows, sheds, switch boxes or barriers and more. 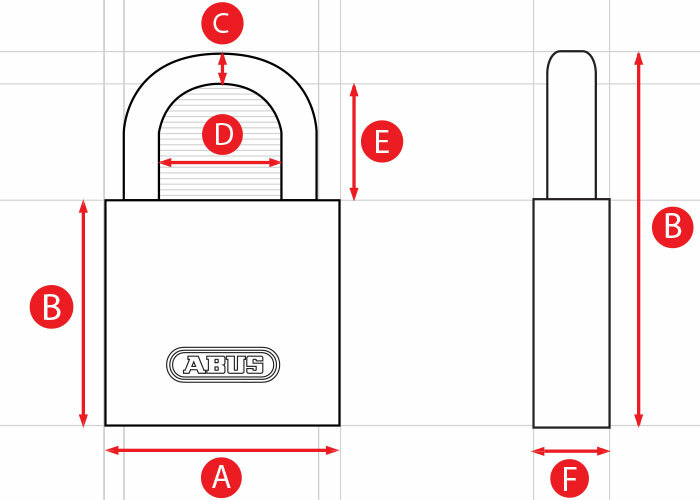 For this reason, our new padlock is not only suitable for commercial customers, but also for private customers such as workmen, industry or small garden plot holders, athletes and people who would like to feel totally secure about their basement or shed. 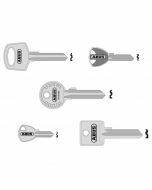 The Silver Rock 5 is available in four sizes, with a lock body width of 40 millimetres to 55 millimetres. It is therefore equipped for all possible uses at home, when you are on the move and for business!